Featuring the deep orangish-pink of fresh caught Chinook, salmon quartz is the perfect stone for anyone who wants to add warmth to any occasion. Salmon quartz is a constructed stone crafted from clear rock crystal quartz. It’s formed as a triplet gemstone, or three-layered gemstone. The top and bottom layer are made from natural eye-clean quartz, while the middle layer is a colored epoxy that binds both sides together and provides color throughout. Our gem experts have described the color of salmon quartz being evocative of freshly caught Chinook, or king, salmon. 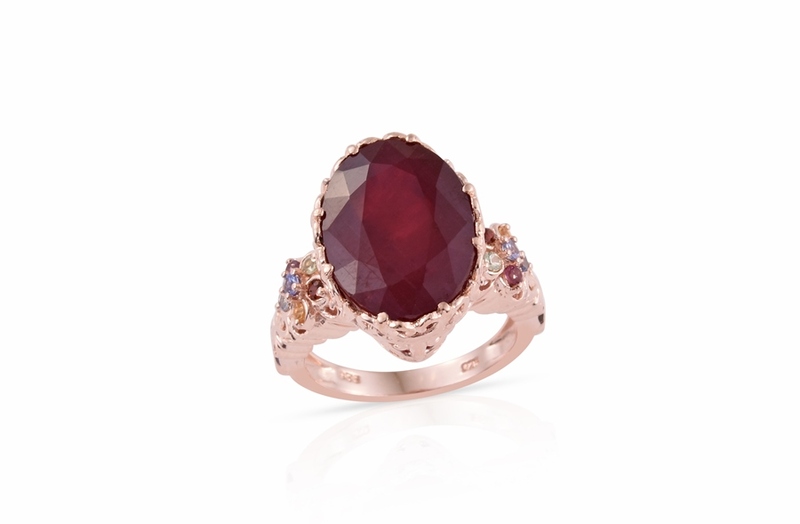 Deeply saturated pink hues run through the polished gem, with a faint orangish tint completing the effect. The stability of the colored layer is good. As with most gems, it’s best to avoid heat, harsh chemicals, and ultrasonic cleaners. Salmon quartz is eye-clean and free of visible inclusions. The natural rock crystal allows the carefully applied color to spread throughout the gem, allowing anyone to be captivated by its deep color. Faceted and polished gems possess a glass-like shine. In the gem trade, this is typically described as vitreous luster. Quartz ranks as a seven on the Mohs scale, meaning it is very resistant to scratching or abrasion. Coupled with its good toughness, consider salmon quartz jewelry for everyday wear. It’s not likely to scratch, chip, or break. Crystal quartz is an abundant gemstone, and it is found in exceptionally large sizes. This allows our craftspeople to create gems of any size, shape, or color, making it easy to own beautiful jewels without needing to spend more, or sacrifice quality. 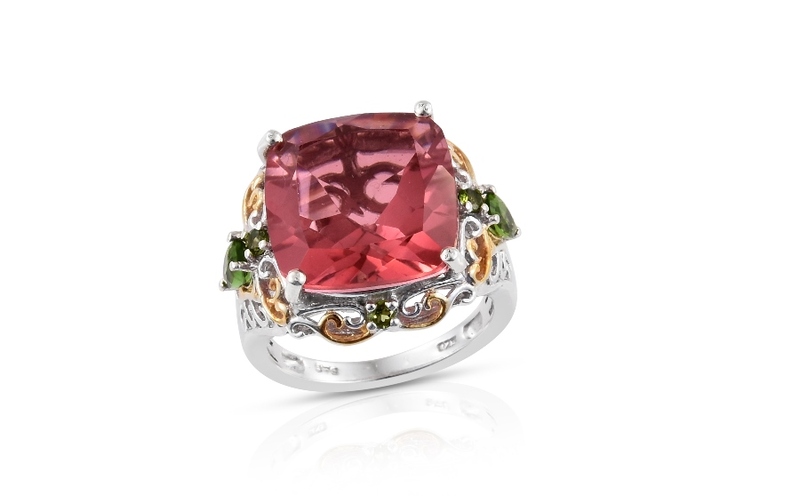 Oftentimes, gemstone colors become more deeply saturated as they grows larger. This prevents many natural stones from being found in larger sizes. Since salmon quartz is carefully engineered, big stones in vibrant colors are possible for anyone to own! 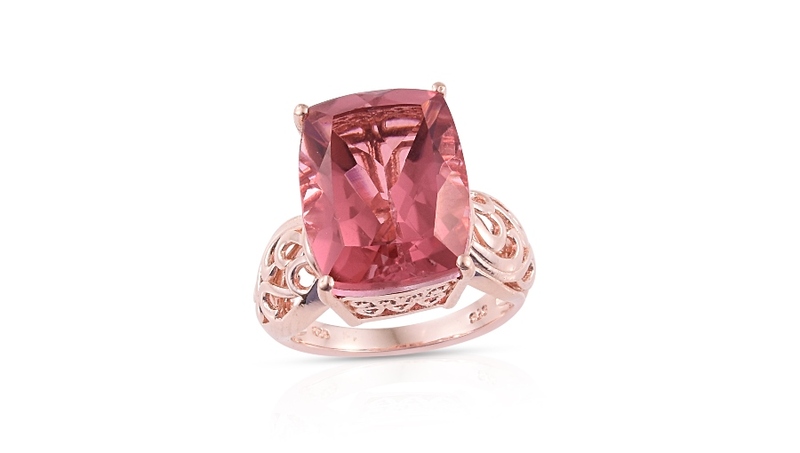 Consider salmon quartz if you already love gems such as rhodolite garnet, imperial topaz, or padparadscha sapphire. 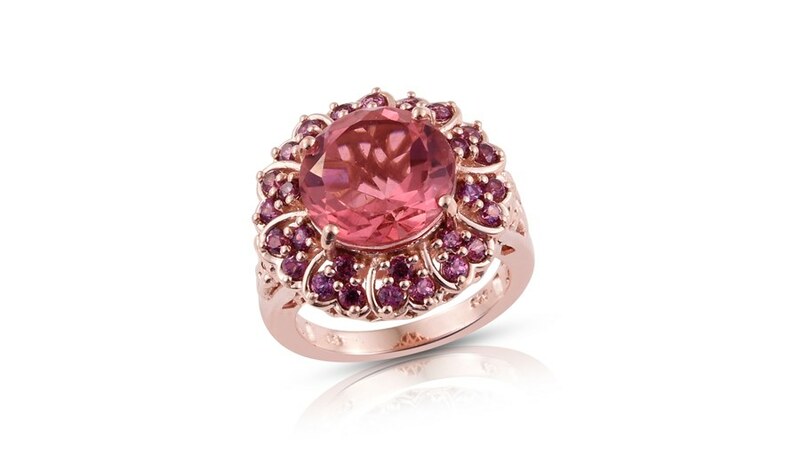 With its deeply hued orangish-pink, this gemstone is a perfect selection for spring or summer palettes. • Rock crystal was considered by many cultures to be a stone of communication. Practitioners thought that by employing crystals, they could induce or enhance oracular visions. In pop culture, this is most often represented by the use of a crystal ball. Interestingly, quartz does have applications in modern communications. As quartz vibrates at a specific frequency, this reliability is exploited by devices such as radios. • The use of the word quartz can be traced back to the 16th century. It is a German word, used by miners, though the specific origin is unknown. The word crystal has Greek roots. The Greek word krystallos simply “clear ice.” The Greeks, along with many other ancient cultures, considered rock crystal to be a form of solidified or petrified ice. Quartz is one of the most abundant materials on the planet. However, not all quartz is created equal. 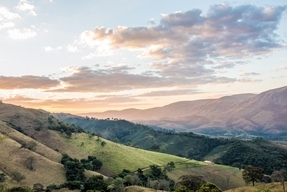 Brazil is home to many amazing gemstones, and they are considered to be one of the best sources of natural eye-clean rock crystal quartz. Shop LC sources our supply of clear crystal from Minas Gerais, Brazil. Quartz ranks seven on the Mohs scale, making it suitable for daily wear. Color presents as a deep salmon pink color with orangish undertones. Rock crystal from Minas Gerais, Brazil is used in creating salmon quartz. Salmon quartz is a constructed triplet gemstone.